posted by Lisa Ace in Sponsored Post, tompkins, INSURANCE, Clients, Services. 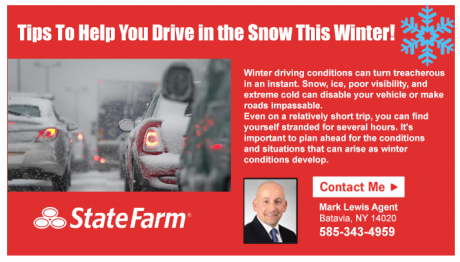 posted by Lisa Ace in Sponsored Post, advertisement, Financial, Tompkins Bank of Castile, INSURANCE, Banking, Wealth Management, local..
posted by Lisa Ace in Sponsored Post, advertisement, Mark Lewis, State Farm, Winter driving tips, winter, INSURANCE, batavia. posted by Lisa Ace in Sponsored Post, advertisement, State Farm, Mark Lewis Agency, Deer Safety 101, INSURANCE, batavia. If riding a motorcycle, always wear protective gear; keep focus on the road ahead. 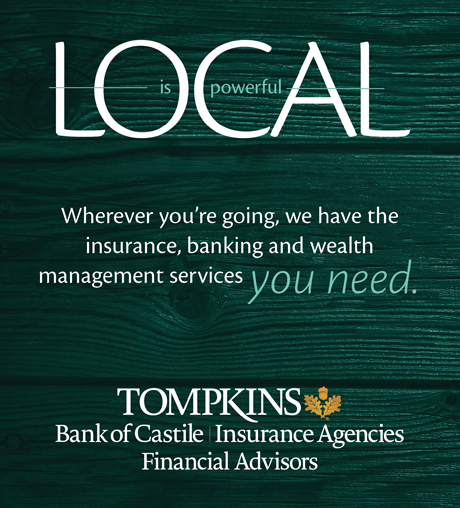 posted by Lisa Ace in ponsored Post, advertisement, Financial, Tompkins Bank of Castile, INSURANCE, Banking, Wealth Management, local..